How to Hack WiFi Password WPA/WPA2 Flaws "100%"
Hackers are good at hacking WiFi password without using Phishing links like they do when they try to hack Facebook account. To gain ana unauthorized accessing to WiFi password it has to do with hacking the password. And only hackers can do this. If you are not a hacker, to hack WiFi Password has to do with a software or a hacking tool that can crack available WiFi password and username on phone (Android, iOS, and Windows), and on PC (Windows and Mac). Why hacking for hackers them help to gain direct access to all username and password writing hacking code to stop or pause a certain permission when a loophole is discovered or to create a loophole in the system so they can steal the password. Some professional hackers use hacking tools or hacking software to hack password such as online password, WiFi password, phone unlock code, etceteras. 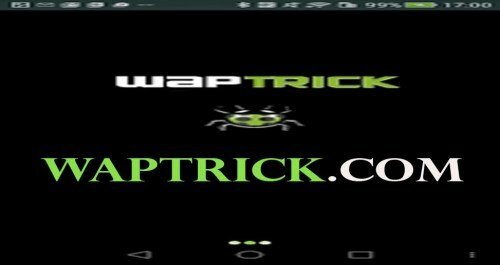 These tools have paved ways for a non-techie or person who is not a programmer to easily hack down any account password and username including hacking WiFi password without hacking tricking or the quest to write a hacking code to hack down the WiFi password. A research has shown that you can hack WiFi password without hacking knowledge. You no longer need to learn how to hack or become a hacker to hack password, hack WiFi, etceteras, the internet is full of tutorials to hack whatever you want to hack. In this case, it’s how to hack WiFi password on Android or PC. Whichever way, all you have to do follow this guide to learn the hacking tricks to gain access to your neighbor’s WiFi password. You don’t need the WiFi username, the username will be identified by your device. This trick to hack WPA/WPA2 WiFi protected access will be achieved using a hacking tool, hcxpcaptool, developed by a GitHub developer. Note that this trick doesn’t necessarily mean that your target should be on the network to hack down the WiFi password. Download the hcxpcaptool hacking tool to request the PMKID targeting the target access point to access the received frame and dump it into a file. Next, you need to convert the frame into a hash format which is accepted by Hashcat. So, you need to use the same hcxpcaptool the output will be in a pcapng format which is to be converted into a hash format widely accepted by Hashcat. Now, use the password cracking tool to obtain the WiFi password that was shared before (WPA PSK). It shouldn’t take much time to crack a WiFi password. However, if it does, it means that the WiFi password is a complex one and not just a combination of numbers and letters. It could be a combination of different characters which will take some time to successfully cracked by the hacking tool. This procedure to hack WiFi password is confirmed on 802.11i/p/q/r vendor. However, it’s possible not to work on other vendors but according to the developer, it works successfully on 802.11i/p/q/r. Since hackers now have enough techniques to hack WiFi password using different tools when on the same targeted network or not, it’s advisable to start to create a hard to crack and guess password such as combinations of different characters. Also, you are not using a trusted anti-virus on your desktop or laptop do not save your WiFi password on your device. To avoid a WiFi password hack, on phone, ensure to reduce the total number of users that can connect to your WiFi to just one or none so that after hackers after successfully hacked your WiFi password they’ll have to go an extra mile to make it work.